What a beautifully delightful little treat!! A rare example of an 18th century memento mori skeletal band, dated 1727. 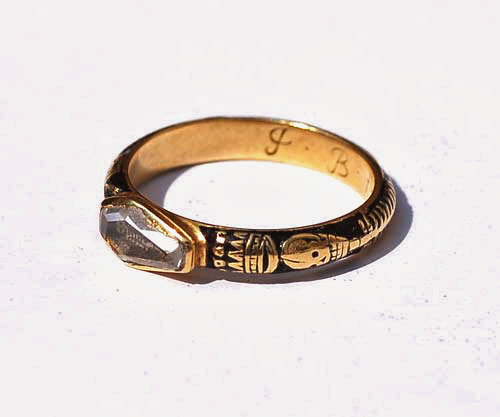 A full skeleton, reserved on black enamel, encircles the gold hoop of the ring. Unusually, there is a crown above the skull, signifying death is the master of all, and below the skeletal feet is a tablet engraved with the words memento mori, flanked by symbols of the Passion. The bezel of the ring is in the form of a gold coffin, covered by a faceted crystal, enclosing a skeleton painted in gold on a black ground. 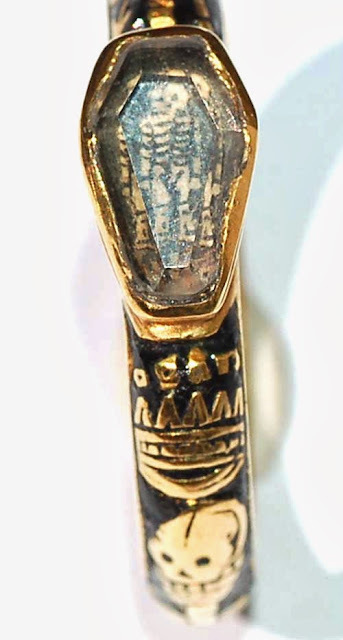 To interior of the band are the initials of the deceased, J. 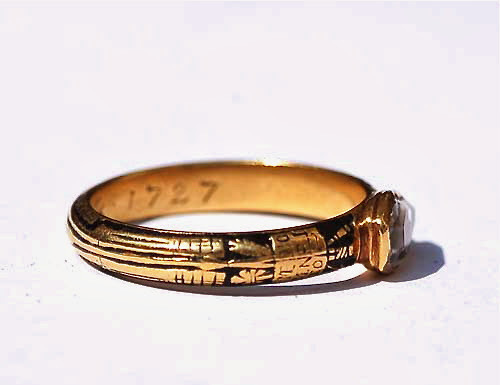 B. and the date, 1727.